One of the greatest advantages RapID Tags® provides is an increased level of efficiency. Anyone who believes that traditional tagging and identification methods are adequate might want to reconsider. There are many drawbacks that manual methods will subject a program to. A great deal of these have to do with the slow, plodding nature of working with manual IDs. The extra time spent fumbling with metal tags or other tagging methods is excessive. Furthermore, other methods of tagging lab animals are subject to greater degrees of inaccuracy. This results in compromised results in many cases. For those that might still be unsure, this guide will go over the many ways in which inferior ID methods can be detrimental. Many other forms of lab animal identification lead to costly errors. It might not seem a big deal at first, but misidentification can compound into greater issues. Administering The Wrong Treatments. Staff could confuse one animal for another. When this happens, there's a greater chance that they will administer the wrong treatment. This could result in the results of a study becoming corrupted. The problems don't end here. Collecting The Wrong Measurements. 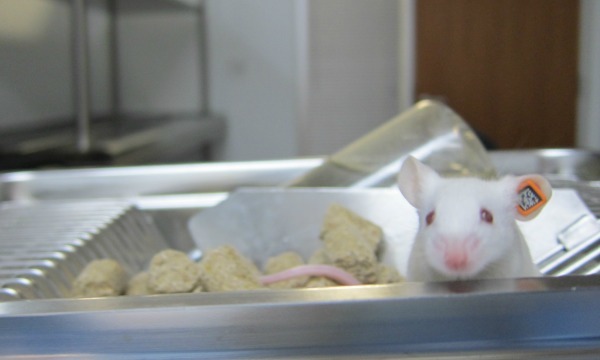 Much in the same vein, staff could collect incorrect data if they confuse one mouse for another. Needless to say, this can render the results of a research study void. This, along with administering improper treatments, will compromise data integrity. While this might sound like a minor setback to some, the reality is that this error will result in more than just incorrect results. The "hidden costs" of misidentification ensure that it will affect organizations in a much more tangible way. Wasted Time. Errors waste lab techs' time. They'll be stuck trying to decipher data from manual methods, or remeasuring animals because there was an error the first time around. Every time they make an avoidable mistake, they'll wonder why there isn't a more efficient method for tagging and scanning. Manual methods are surefire for having everyone spin their wheels without getting very far! Wasted Costs. Time is money, after all. In addition to mounting labor costs from having to pay techs to do extra work, there are other ways misidentification saps an organization's funds. Noisy data from ID errors means they will need more animals in total to get the proper results. In the case of irreparable errors, they'll have to pay for replacing compromised test animals. RapID Tags reduce animal ID errors. This goes a long way in helping labs save time and money. The automated technology allows researchers to scan animals in less than a second. It's 100% accurate, and does not require interpretation to get a solid ID. Multi-colored tags allow for easy visual identification of lab subjects, and this in turn enables labs to optimize their data collection time. The accuracy and precision one gains from RapID Tags adds up. Each additional study a lab has to perform because of errors could cost anywhere from $15,000-$30,000. When they reduce animal ID errors with this automated technology, the frightening added expenses become a total non-issue.